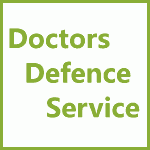 Maintaining High Professional Standards (MHPS) Law | Doctors Defence Service – UK. Doctors Defence Service advises doctors going through the Maintaining High Professional Standards (MHPS) in the Modern NHS disciplinary and investigatory processes, and challenges to the process. Call us in strict confidence on 0800 10 88 739 for details of our legal services in MHPS law.